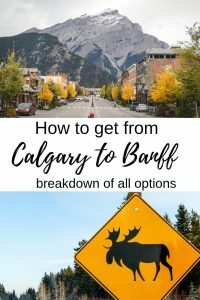 How to get from Calgary to Banff includes quite a few options. Our article has details about all transportation options with costs breakdown for all budgets. As someone living in Calgary who has done the ‘Calgary to Banff’ drive a hundreds of times, I can tell you the views are breathtaking. 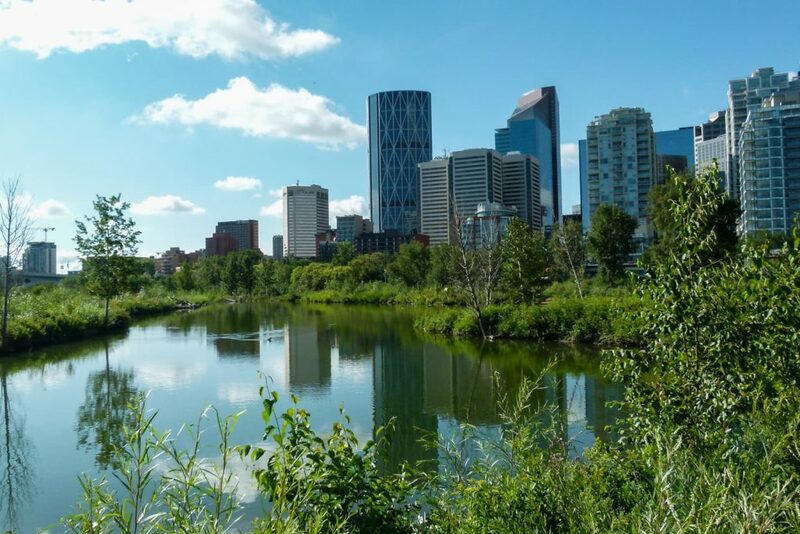 Once you leave the city’s boundaries, the prairies will slowly disappear and the Rocky Mountains will be greeting you. No matter if your transports provide wifi or not, enjoy the mountain views! Free water – some bus companies provide free water on board, however, Canada has drinking water which is 100% safe so you can bring your own water bottle and fill up on the go. 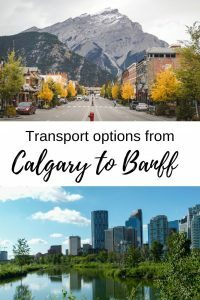 Below are all the options for transport from Calgary to Canmore (just outside of Banff NP), Banff & Jasper. Greyhound bus for 22 CAD one-way used to be the best option but unfortunately, Greyhound canceled all services in Western Canada in October 2018. This is, without doubt, the most budget-friendly option. 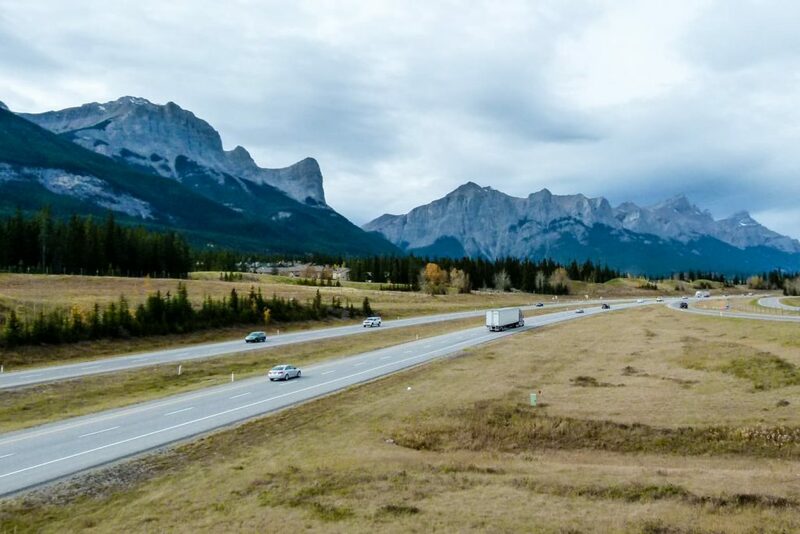 The gas to get from Calgary to Banff will cost you around 18 CAD and you can save hundreds of dollars on accommodation by sleeping in the campervan. You will only pay your National Park admission fee and campgrounds. Parking nearby popular attractions is free. The freedom you will have to stop whenever you like is priceless! 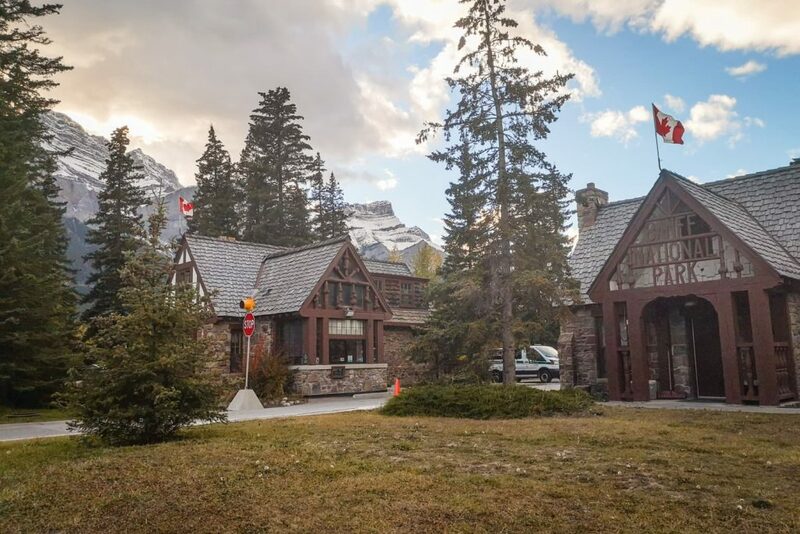 For parking in Banff, check out this website for detailed info and availability. You can rent a car from international well known rental companies which are located at the airport or in downtown. If you’re on a tight budget, I suggest going by public transport to downtown and rent a car there. Renting directly from the airport is always more expensive (but also more convenient). We’ve tried 3 different companies – Budget, Enterprise, and National, and had the best experience with National. The basic rental car usually costs around 45 CAD a day (+insurance and GST). Or, you can rent a car from local Calgarians through Turo. It works on the same principle as Airbnb where locals rent out their own rooms/apartments. Turo will let you choose a car from locals who will rent it to you. Get $25 off on your first rental when you sign up through this link. We personally haven’t tried this option but heard travelers and backpackers using it often. We are members of the Couchsurfing community and a few of our surfers were successful and enjoyed hitchhiking in Canada. We even picked up a few hitchhikers ourselves. Make your way to Valley Ridge neighborhood by taking a C-train to Crowfoot station and then bus #408 and you can start hitchhiking from there. There is also an option to go by private transport (charter your own minibus), limo or taxi but since it would cost you hundreds of dollars and in my opinion are the worst options, I’m not including info about that in this article. Public buses are available to get around Banff or to Canmore. A few shuttle buses run by Parks Canada are now available from Banff to Johnston Canyon, Lake Louise & Moraine Lake. 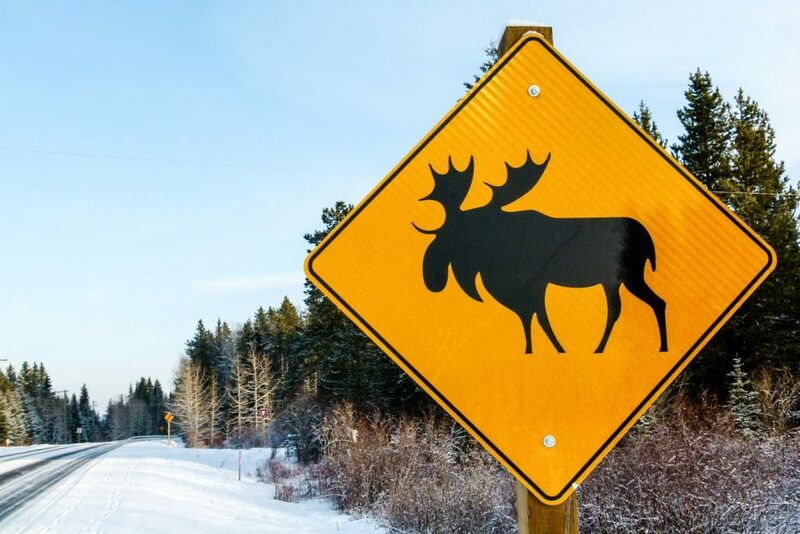 The bus schedule was updated in April 2019, check out this website for the most recent schedule as Parks Canada is adding more. You can ride a yellow school bus from May 25th to October 2nd, 2019 for 60 CAD a day (tax included). Like other hop on, hop off buses around the world, this concept is the same – you can get on & off the bus wherever you like. It can drive you to Johnston Canyon, Lake Louise & Moraine Lake. 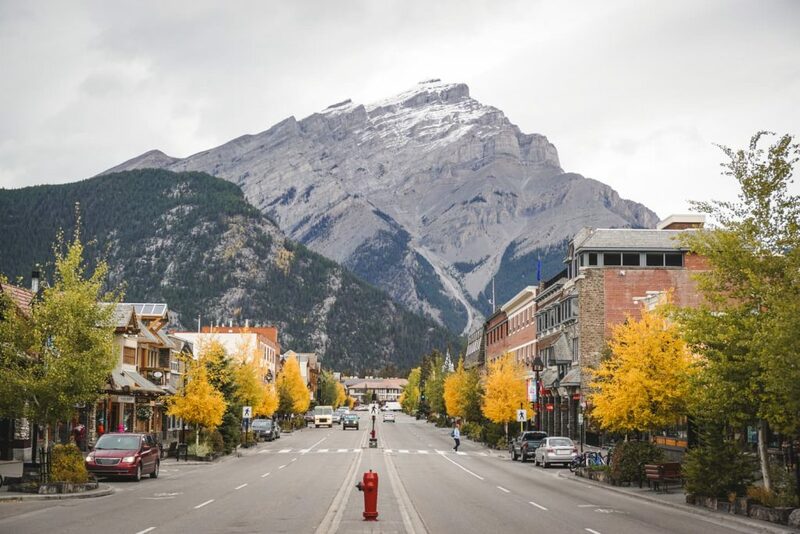 If you would like to visit Banff, staying in Canmore is a very good option. It’s only 25 km away and there is a regular public bus Roam driving between Banff and Canmore. What’s even better, the biking path Legacy Trail between Banff and Canmore is a beautiful scenic option how you can easily visit both mountain towns. Jasper National Park is a neighbour to Banff National Park and both of them offer endless outdoor activities and dramatic mountainous landscapes. The closest airports to Jasper are Edmonton (365 km) and Calgary (412 km). Even though Edmonton is closer, I recommend flying to Calgary. 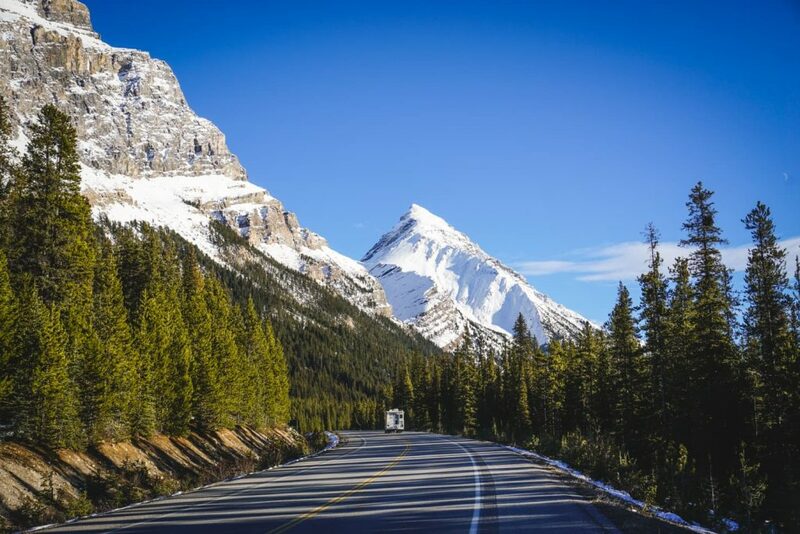 The road from Calgary to Jasper has many gorgeous places you don’t want to miss out (including famous Moraine Lake, Lake Louise & Peyto Lake). Jasper is 412 km away from Calgary and it takes around 5 hours to get there if you’re driving without stopping. 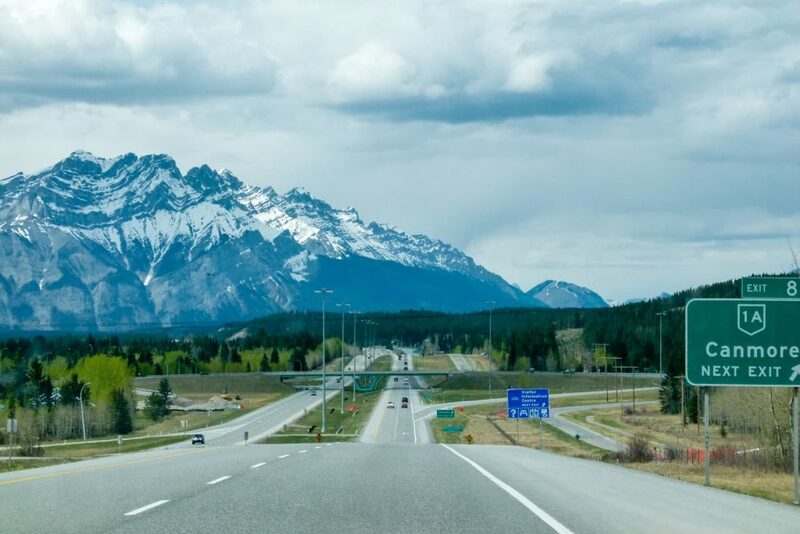 The road from Banff to Jasper, better known as the Icefields Parkway is one of the most scenic routes in the world. Take a look at our post to see the most beautiful landscapes on the Icefields Parkway. I recommend taking at least a full day to slowly travel from Calgary to Jasper.